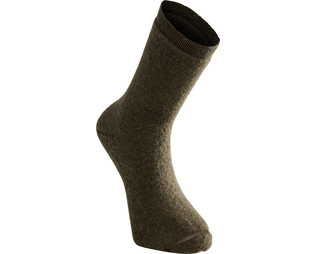 Woolpower Ullfrotte 400 socks with insulating terry knit in feet and shafts. Extra elasticity in the beginning and end of shaft for comfortable fit. Available in Black and Pine Green.